Surely, you’ve heard it all — document … document … document, and paper trail … paper trail … paper trail. Do it now because if you’re sued, you’ll have to be ready to arm your defense lawyers so you can immediately respond to legal issues in human resources. Regulators and courts look favorably at companies that are proficient in due diligence. It must begin before you hire. Plus, continued due diligence is vital long after an employee exits your business. But to guard against adverse litigation, what records should you keep on a continual basis? Obviously, you should retain all pertinent information in the event you face a lawsuit. If you aren’t able to supply relevant documentation, you’ll pay a heavy price. In some cases, you’ll even be forced to give the job back to a nonperforming or toxic employee. You’ll be asked to provide hard copies and stored evidence in the discovery phase of a lawsuit process. You might be surprised what records will be needed for your defense. It can be far-reaching: business records, employee information, financial data, and plans for projects. So keep all relevant records. Know and identify your employees who are the most well-informed and proficient with your information technology and record-keeping. Be fully aware of your data practices, retaining policies, and programs. Ascertain and evaluate your storage practices. Define what reports and any documents are in jeopardy of being changed, damaged or shredded. Know how you can safeguard them. Note: Be particularly aware of records that an undesirable or potentially discharged employee can access and alter. Ascertain any plans to upgrade or replace any software, IT systems, files or documents, and when it will take place. Be very cognizant of all actions are already taking place or in the works to spring clean or save IT records and hard-copies. This also means knowing what regulators require. In countless data breaches, companies point fingers at their vendors. Control whether your vendors and all third parties have data that conceivably needs to be safely saved. Don’t let them become your weakest point. Know any of your records that might necessitate require forensic retrieval or protection. Ascertain any potentially relevant It system data that can help you reclaim and classify records. You should protect and produce metadata – a set of data that gives information about your other data. Be very careful with your outdated software and hardware that contain data – they require special care. Pinpoint all your voice mails, instant messaging and text messages. Save all applications and be able to show how you take precautions to preserve such information. Assemble all current and past emails, email practices and policies. Your employees often send and receive personal emails on your computer system. Distinguish and update all policies and practices that relate to your employees’ personal email accounts with which your IT systems may interrelate. List all software you have used and are using now. Name your digital structures you use, oversee and on which you keep information. Distinguish any current and former databases that might be relevant for any possible lawsuits. Be prepared to explain how you use keyword and any additional search methods and technology to access information. Decide how you’ll provide information to your attorneys and opposing lawyers. That includes any file formats such as CDs, DVDs, external thumb drives and FTP (file transfer protocol). Find out if you can provide digital-document images as opposed to hard copies. Know what you can and need to separate to prevent disclosure of competitive secrets or privileged information. Be sure to segregate such information, such as for any understandable hardships reasons. Be prepared to explain your legal rights in doing so. Ascertain if you have any information that might be prone to governing embargoes on revelations, export controls or overseas privacy laws. Best Employee-Handbook Values to Avoid Legal Issues — Neither you, nor your company and nor should your employees be relying on an employee handbook with illegal or antiquated policies. Here are employee-handbook values to consider. 10 Best Practices for an Online Employee Handbook — Companies that don’t convert their employee handbooks into electronic documents are missing noteworthy opportunities in human resources. Conversely, businesses that switch to a digital format accomplish at least five HR goals. For Best HR Performance Reviews, 10 Sample Goal Phrases — A well-written set of performance goals work to motivate employees and help them to focus better on their responsibilities. They must be written with the right phrasing so they inspire performance and don’t invite costly lawsuits. Employer Tips: How to Deal with a Visit from ICE — A visit from ICE – the U.S. Department of Homeland Security’s Immigration and Customs Enforcement – is a cause for concern. Your response sets the stage for communication, either effectively defending your company or possible negotiations and a settlement with ICE. 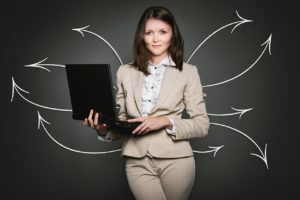 Management – How to Improve Accountability in Your Company — If business and tepid growth have affected your outlook, take a look at your human resources and consider a couple of questions. If you don’t like your answer, here are eight solutions.